A polygamist who has four wives, Toure Abdul Razak has assaulted his third wife on Monday night following a misunderstanding over issues related to their marriage. According to a source close to the third wife of Mr. Razak, the assault has left the wife with multiple injuries on her head, eyes and nose. Pictures of the assault were shown to an Accra based journalist. Narrating the incident to the journalist based in Accra, the source disclosed that Mr. Razak on Monday night punched the 3rd wife in the face during a confrontation and also hit her head against a wall several times, leaving her with bloodshot eyes and bleeding nose. The assault was carried out in the presence of their 4-year-old daughter and 1-year-old boy according to the source close to the family. The source also disclosed that, Mr. Toure did not even have mercy on the wife despite the cries of his daughter to stop beating her. 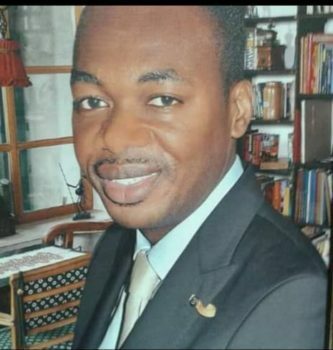 Toure Abdul Razak is the CEO of Hijrah TV, an Islamic channel on satellite in Ghana. Sources close to the family of the battered 3rd wife say he is notorious for inflicting violence on his wives. Monday night’s assault has aggravated the situation as he also threated to kill her according to the source. The source also added that the victim is currently at the 37 military hospital receiving treatment. A doctor’s report on the victim’s assault sighted by the journalist showed that she has been left with blurred vision and severe headaches following the incident. The case has been reported to the police and Domestic Violence and Victims Support Unit (DOVVSU) in Accra. Good afternoon, But with all due respect I don’t think the Razak Just got up and start beaten his wife like that. why is that the sauce did not disclose what main reason for the beaten But instead Bash all the blame on the Man? I think there has not been fair on the mans part. We need to know the story from the Man before jumping to any conclusions judgement.